Looking for a-one-of-a-kind treasure? 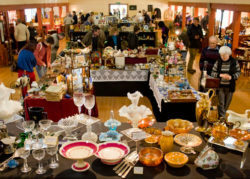 Come out and check out the Concord Antique Faire & Collectibles held at the Concord Todos Santos Plaza park from 9 am to 4 pm on third Sundays from April to October in 2019. Admission & parking is free.